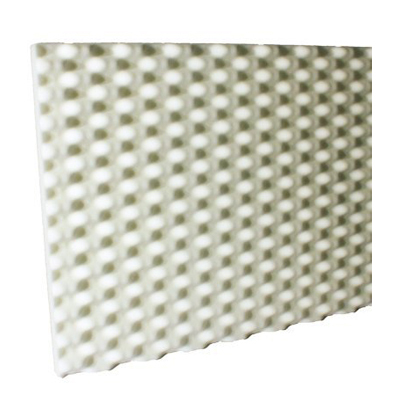 Udderly Quiet™ Class A™ Anechoic Studio Foam is made from flame resistant, acoustic foam. Choose this studio foam product for applications or buildings that require a Class A™ rating for exposed materials. Class A™ Anechoic Studio Foam is perfect for areas that have high temperatures or where sparks may fly. Our Class A™ foams are made with open celled, acoustic melamine. This product was specially created to give excellent noise absorption qualities, while offering something else other foams can’t …a Class A™ flammability rating. Environments where large numbers of people congregate demand Class A™ products rather than flammable polyurethane foams. Class A™ Anechoic Studio Foam reduces echo within any environment, and it’s double convoluted texture adds architectural interest. Dimensions 2 ft. x 4 ft. Need a thickness or size not listed above? Custom thicknesses and sizes are available, please call 1-866-949-9COW for details. Engineered for performance — The Anechoic pattern was designed to increase surface area, ultimately increasing the acoustic performance. 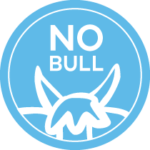 Udderly Quiet™ Class A™ Anechoic studio Foam absorbs sound generated at low, mid and high frequencies and have an equal to or higher Noise Reduction Coefficient (NRC) then polyurethane anechoic products. Quality — Udderly Quiet™ Class A™ Anechoic Studio Foams are made with high quality melamine foam. This foam is consistent in density and firmness so acoustic performance will also be consistent. Ease of Installation — Udderly Quiet™ Class A™ Anechoic Studio Foams are light weight and can be attached to a variety of surfaces. No special tools or materials are needed. Personalization — Udderly Quiet™ Class A™ Anechoic Studio Foams are available in bright white and light gray. Architectural Interest — The 3D, double convoluted pattern of the Udderly Quiet™ Class A™ Anechoic Studio Foams creates a visually unique environment. Flammability — Udderly Quiet™ Class A™ Anechoic Studio Foams are manufactured from melamine foam that has a Class A™ flammability rating. This product passes most building code flammability requirements for exposed materials. Not just for Professional Studios — Udderly Quiet™ Class A™ Anechoic Studio Foams can be used almost anywhere reverberation (echo) is an issue and heat or potential sparks are a concern. This product is heat resistant to 482º F and is able to withstand constant temperatures up to 320º F.